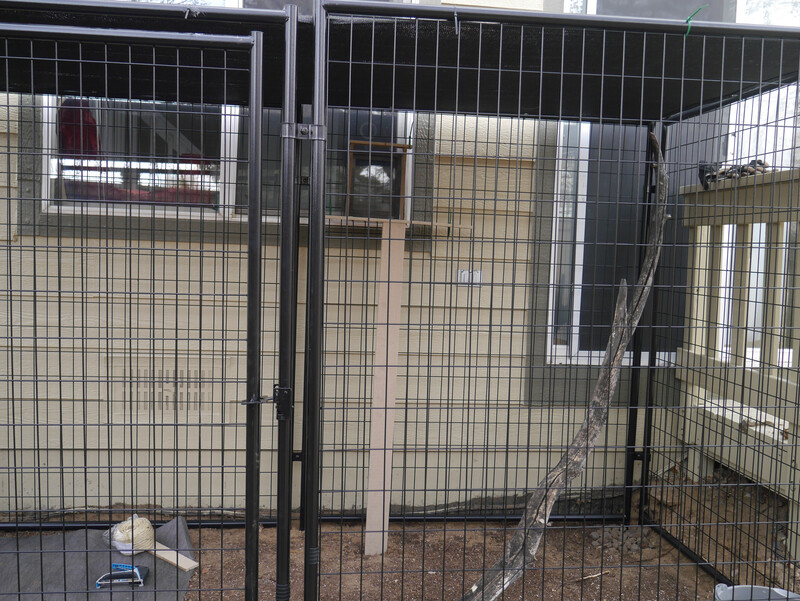 February 27, 2017 February 27, 2017 Categories Pippincat, cat patio, catio, diy, pet, Pippin1 Comment on We have a catio! 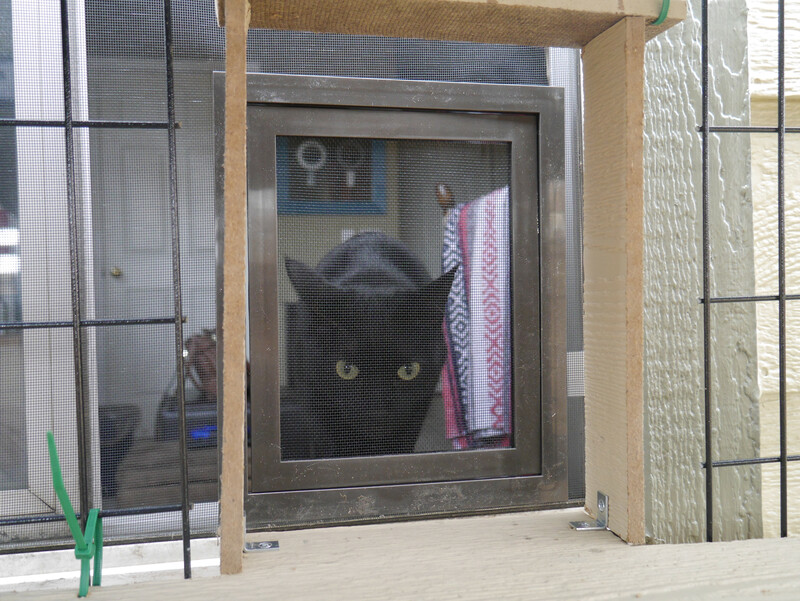 While deciding what to do yesterday, we discussed the idea of setting up a catio, something I’ve been wanting to do for Pippin since we got the house (a cat door has been sitting in our closet for some time). Lydia was all for it so after many minutes of figuring out what we were going to do and how, Dave and Gene set out for Lowe’s and soon came back with a dog kennel. We worked for most of the day yesterday – the girls clearing out rocks and getting the space ready and the guys going to and from the store (they had to rent a truck to get the kennel to us). 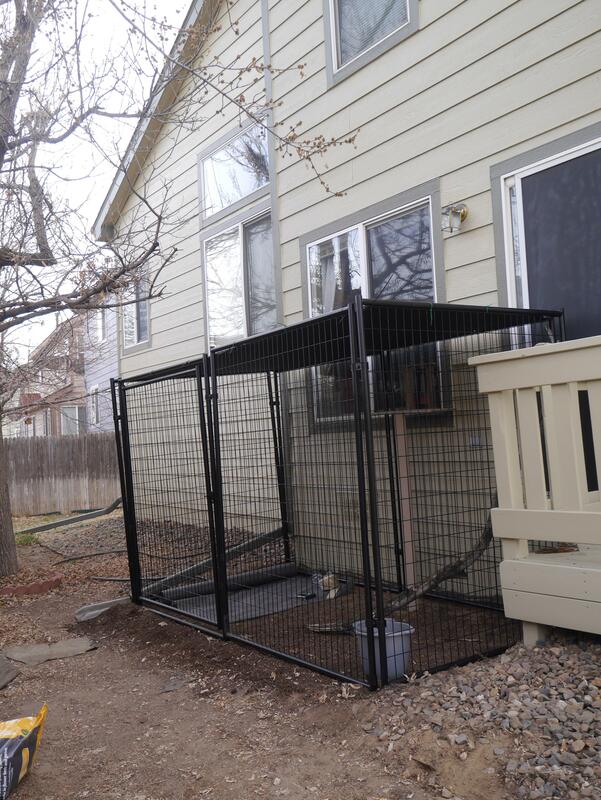 But now we have a catio for Pippin! It’s all been quite easy setting everything up, at least my part. That was my plan, hence why we got a dog kennel and didn’t build our own structure. Dave is the one who created a little platform for him to step out on so that may have been the most difficult part. Lydia found a nice tree branch for Pippin to climb on and sniff and I added some rocks and a bucket for him. The fancier items will be added later. 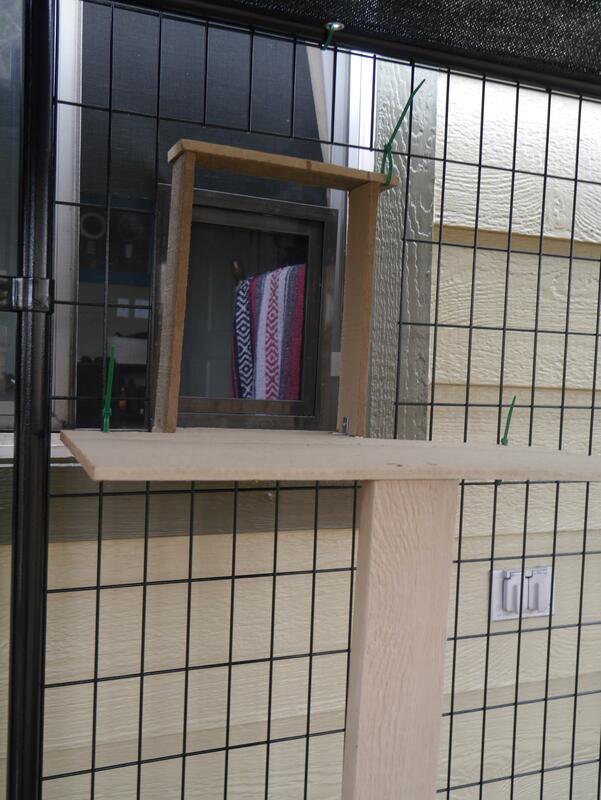 Close up of platform that Dave built. Pippin has been out in it already and is actually currently out there as I type this. He has already rolled around in the dirt and has inspected the nice piece of wood. I think this is going to be so great for him. He can go outside now and stay safe. I’ll add plants when the weather is nicer as well as a chair and maybe a table. Might add a bird feeder to the nearby tree so he can watch birds throughout the day. So excited that we did this for him!